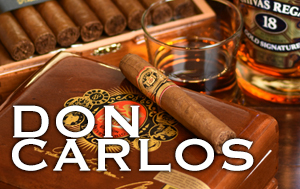 Time, water and the sun have forged a valley where the soil conditions make possible the perfect combination to produce one of the best cigars in the planet. 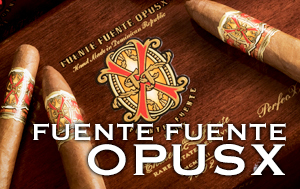 It is in this valley, with its afternoon rain mists, perfect sunrays and the perseverance of a family, where a dream was born: Fuente Fuente Opus X, the first ultra premium 100% Dominican cigar. Pyramid: The first shaped cigar in the Arturo Fuente Chateau Fuente series, the Pyramid is rolled with select Connecticut shade wrapper tobacco and the Fuente family’s special blend of aged, Dominican filler. 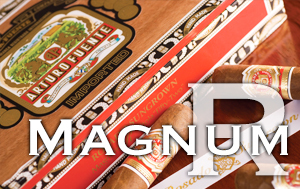 Taking no shortcuts, these smooth balanced cigars must pass numerous quality control inspections before being adorned with the world-renowned A. Fuente cigar band. 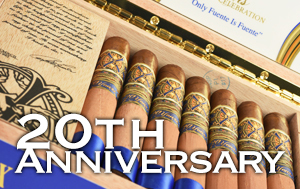 King T: King T cigars are packaged in tubes that beautifully depict the famed Chateau de la Fuente. 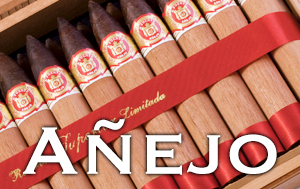 It is the Fuentes’ personal family touch that makes Arturo Fuente the world’s finest cigars. From the first tobacco seed planted, to the family guarantee label that seals each box, Carlos Fuente Jr. personally oversees every step in the cigar making process. 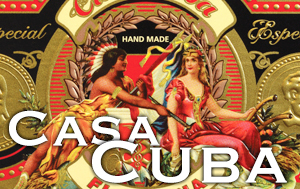 Queen B: Featuring an Ecuadorian sungrown wrapper, these cigars represent four generations of family tradition, pride, and personal sacrifice. Like all Arturo Fuente cigars, Queen B cigars are made completely by hand – the same way Arturo Fuente did over 100 years ago. 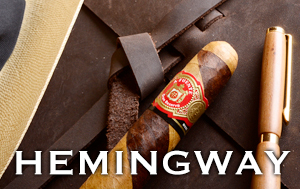 Each unique creation is masterfully blended from the Fuente family’s private reserve of aged tobacco, then hand rolled to the perfect shape and size. 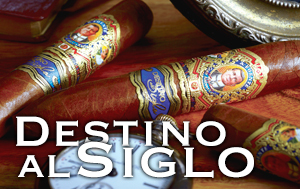 The result is an unforgettable smoke worthy of the Chateau Fuente label. 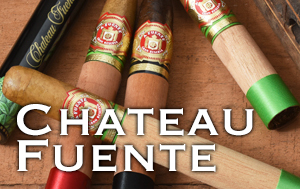 The Arturo Fuente Gran Reserva line is available in African Broadleaf, Connecticut Shade, and Ecuadorian Sungrown wrappers, all paired with the Fuente family’s world-renowned Dominican filler and binder. Their superior construction provides a long and steady burn with an excellent draw and consistent flavor throughout. Every cigar made under the Arturo Fuente brand is given complete attention to detail, and must pass numerous quality inspections before it is boxed and sealed with the Fuente family’s name.